If you're interested in pursuing a medical degree, you may be wondering which medical schools are the best. The schools that offer the highest quality medical education are those that rank the best in numerous factors, including faculty to student radio, admissions selectivity, and peer assessment. The following schools enjoy high rankings on well-regarded lists of top quality medical schools in the United States, including those compiled by U.S. News and World Report, QS World University Rankings, Academic Ranking of World Universities, and Business Insider. The University of Washington College of Medicine is a top-notch school and has won awards to prove it. For over twenty years, U.S. News and World Report has ranked the UW School of Medicine number one in rural and family medicine as well as primary care training. It's also ranked the number one medical school in the country by Business Insider. The UW School of Medicine is ranked number two in National Institutes of Health (NIH) research grant funding. The Academic Ranking of World Universities ranks UW number two on its list of schools for clinical medicine. As a highly competitive medical school, the UW College of Medicine has an acceptance rate of only 4.9% of all applicants for admission. The average Medical College Admissions Test (MCAT) score for incoming students is 31. There are around 959 students enrolled at the school. Tuition ranges from $33,000 to $64,000 per year, depending on whether you're an in-state or out-of-state student. U.S. News and World Report ranks the UW College of Medicine in its top ten for a number of specialties, including Rural Medicine, Women's Health, Drug and Alcohol Abuse, and Family Medicine. To earn their medical degrees, students participate in Primary Care Practicums, where they work with established physicians. In their third and fourth years, students take clerkships in areas encompassing multiple aspects of patient care, such as Internal Medicine, Emergency Medicine, and Surgery. A significant number of graduates go out into the world to offer their skills as highly trained medical professionals to areas that have the greatest need, such as rural regions, inner city environments, and developing countries. Ranked number two on Business Insider's list of the 25 Best Medical Schools in America, the University of California at San Francisco School of Medicine boasts a truly impressive and distinguished faculty. Four faculty members have received the Nobel Prize, 81 of them are members of the National Academy of Medicine, and 41 of them are members of the National Academy of Sciences. The UCSF School of Medicine was ranked number two on the Academic Ranking of World Universities' list of top schools for clinical medicine. 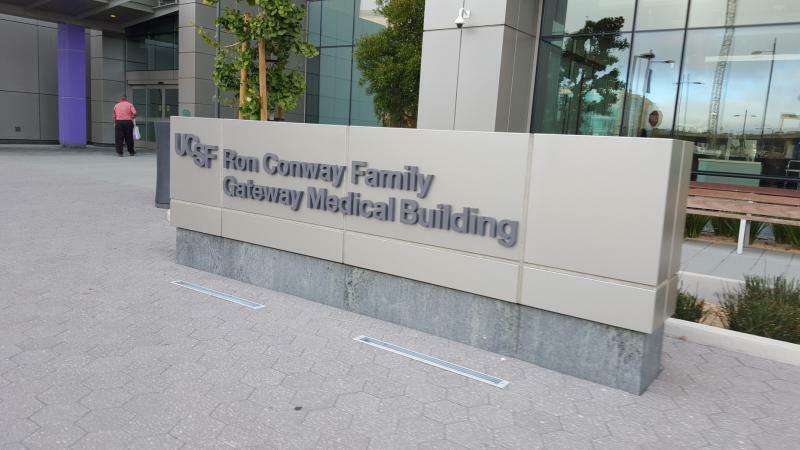 The UCSF School of Medicine is incredibly competitive, and of candidates who apply for admission, the school accepts only 3.7%. The average MCAT score of entering students is 35, and 647 students are enrolled in the school. Depending on whether you're an in-state student or an out-of-state student, tuition will range from $32,000 to $45,000 a year. The UCSF School of Medicine is ranked number three by U.S. News & World Report for both primary care and medical research. The school has also earned rankings in the top ten for Women's Health, Drug and Alcohol Abuse, Pediatrics, Geriatrics, and Internal Medicine. 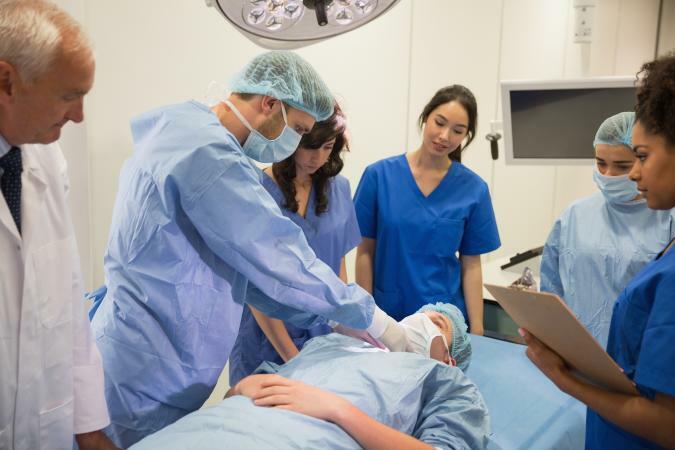 To earn their medical degrees, students must master skills in seven Competencies, which include Patient Care, Medical Knowledge, Systems-Based Practice, Collaboration, Professionalism, Learning and Improvement, and Interpersonal Skills. The UCSF School of Medicine has topped all other medical schools in the nation for research grants from the NIH. Located in Baltimore, Maryland, the Johns Hopkins University School of Medicine is ranked number three on the U.S. News and World Report's list of the best medical schools for research. The hospital with which it is affiliated, Johns Hopkins Hospital, is ranked the fourth best hospital in the nation for delivering outstanding care to patients. The School of Medicine was the first medical school in the United States to insist on stringent entrance standards for incoming students and to adhere to the standards expected of modern medical schools in curriculum and instruction. There are 482 students studying at Johns Hopkins University School of Medicine. As with other top medical schools, it isn't easy to be accepted for admission to the school, with its 3.9% acceptance rate. The average MCAT score for candidates who are accepted at the School of Medicine is 36. The Johns Hopkins University School of Medicine is a private medical college, and tuition is in the neighborhood of $50,000 per year. Ever since its inception, the Johns Hopkins University School of Medicine has been on the cutting edge of leadership in medical research and training. The majority of students choose to make research a vital part of their learning experience, and many of them choose a research career track. Students earn their medical degrees through a Genes to Society Curriculum, which draws on what researchers have learned from the Human Genome Project and incorporates anatomy and physiology with medical ethics and a clinical emphasis. U.S. News and World Report ranks the school number one in Geriatric Medicine and number three in Internal Medicine. The University of Michigan at Ann Arbor Medical School is ranked number four by U.S. News and World Report for best medical schools for primary care. When it comes to medical research, the school is also highly ranked, at number eleven. The UM Medical School emphasizes hands-on experience, and students begin seeing patients during their very first month of study. With an acceptance rate of 6.7%, admission to the UM Medical School is selective. The average MCAT score of incoming students is 34. There are 710 students enrolled at the medical school, and tuition ranges from $32,000 for in-state students to $51,000 for out-of-state students. At the UM Medical School, students have four branches of study from which they can choose. Typically, students will hone in on one of these branches during their third and fourth years of medical school to prepare for their residencies. Systems-Focused and Hospital-Based Practice focuses on the coordination of patient care systems and management. Patients and Populations emphasizes inpatient and outpatient care, medical team coordination, pharmacology, office-centered procedures, and preventative care. Diagnostics and Therapeutic Technologies is about the use of technology to diagnose disease and medical conditions. Procedures-Based Care concentrates on the development of clinical skills, such as wound care, pain relief, and making decisions about patient care in clinical settings. As part of your preparation for residency, you will be required to teach a class in basic science, and then you will take a course known as Boot Camp, in which you will put your medical skills to work just as you would soon be doing in residency. In Boot Camp, you'll choose one of four areas: Pediatrics and Surgery, OB/GYN, Emergency Medicine, or Internal Medicine. Duke University School of Medicine, located in Durham, North Carolina, is ranked number eight by U.S. News and World Report for both research and primary care career tracks. The hospital with which the School of Medicine is affiliated, Duke University Medical Center, is a top player in the United States for biomedical research. Its clinical research arm, the Duke Clinical Research Institute, is the oldest organization of its kind in the country, and Duke University Medical Center is ranked number three on College Rank's list of the 25 best college campus hospitals. There are 453 medical students enrolled at Duke University School of Medicine, and admission is highly competitive, with a 4.1% acceptance rate. Students admitted to the School of Medicine have an average MCAT score of 35, and tuition for one year runs about $54,000. 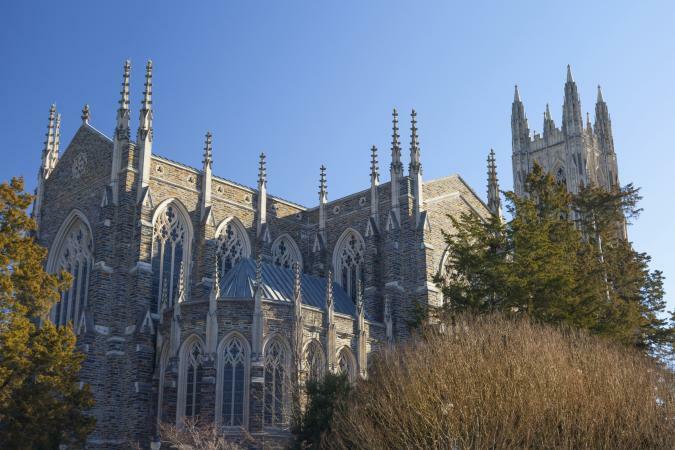 Duke University has three health education programs that lead to the MD degree. The Doctor of Medicine (MD) Program is a good choice if you want to focus on primary care, and it typically takes three years to complete. If you want to focus on primary care leadership, then you'll want to look into the Primary Care Leadership Track, which takes four years to complete. The Medical Scientist (MD/Ph.D.) Training Program takes seven to eight years to complete, and it's a great choice if you want to become a physician-scientist and build your career around research and problem solving. The University of North Carolina at Chapel Hill's School of Medicine states its mission is to be the leading public medical school in the United States. It certainly is a strong leader, ranking an impressive number two on U.S. News and World Report's list of the best medical schools for primary care. In addition to the traditional Doctor of Medicine (MD) degree, graduates can also earn dual degrees, consisting of either an MD with a Doctor of Philosophy (Ph.D.) or an MD with a Master of Public Health (MPH) degree. There are 829 students enrolled at UNC School of Medicine, with an average MCAT score of 31. As with other top-notch medical schools, entry is competitive, and the acceptance rate at UNC School of Medicine is around 4.7%. In-state students will pay around $22,000 per year in tuition while out-of-state students will pay around $49,000 a year. To earn a medical degree at UNC School of Medicine, students study medicine using the Translational Education at Carolina (TEC) Curriculum, which is designed to prepare them for medical careers by combining foundational science with clinical experiences involving patients. The TEC Curriculum includes three phases. The Foundation Phase emphasizes the sciences while the Application Phase is composed of clinical rotations. In the Individualization Phase, students take electives, engage in internships, and optimize their studies to fit their individual medical career plans. U.S. News & World Report ranks UNC School of Medicine as number two nationwide in both Rural Medicine and Family Medicine. Shining as a beacon for excellence, Harvard Medical School tops U.S. News & World Report's list of the best medical schools for research, and it also ranks number one on the QS World University Rankings for medical schools. Harvard Medical School is located in Boston, Massachusetts, not in Cambridge with the Harvard University campus. The teaching hospital associated with Harvard Medical School is Massachusetts General Hospital, where the majority of the physicians also work as faculty members at the medical school. As you might expect, acceptance to Harvard Medical School is extremely competitive. The acceptance rate is only 3.5%, and the average MCAT score for applicants who are granted admission is 36. There are 710 students currently enrolled at Harvard Medical School, and tuition for one year runs in the neighborhood of $56,000. The excellence of Harvard Medical School is reflected in its high rankings by U.S. News and World Report for particular specialties. The medical school is ranked number one in Women's Health, Drug and Alcohol Abuse, and Internal Medicine. It's ranked number two nationwide in Pediatrics and in Geriatrics. Harvard Medical School has three MD programs, depending on your area of career interest. Pathways is a combination of grounding in science, hands-on experience, and research activity designed to provide students with earlier clinical experience and the opportunity to hone in on their particular interests and tailor a specific pathway for their medical careers. Health Sciences Technology (HST) MD Program is for students who have particularly strong skills and interest in science and who want to pursue careers in biomedical research. Combined Degree Programs give students the opportunity to earn joint degrees, consisting of an MD alongside one of the following: Ph.D. (Doctor of Philosophy), MBA (Master of Business Administration), MPH (Master of Public Health), or MPP (Master of Public Policy). U.S. News and World Report ranks Stanford University School of Medicine as number two on its list of the best medical schools for research. It is ranked number four on the QS World University Rankings for medical schools worldwide, which makes it the number-two ranked American medical school on the QS list. Stanford University is pioneering a new approach to medical education called the flipped classroom. Lectures are delivered online and outside the classroom which frees up classroom time for hands-on learning approaches. Stanford University School of Medicine is one of the toughest schools around when it comes to being admitted, with only a 2.8% acceptance rate. The medical school has 461 students, and the average MCAT score is around 35. Tuition for one year costs around $53,000. Stanford University offers an MD program that emphasizes research and scholarship. As part of the program, students are required to choose a Scholarly Concentration, which is somewhat analogous to an undergraduate student declaring a major. The purpose of a Scholarly Concentration is to develop a student's knowledge and skill pertaining to a particular area of interest and expand that interest into a medical career. Students can choose from one of the basic foundation areas, which include topics like Clinical Research, Community Health, or Bioengineering, or the student can design a Scholarly Concentration of her own. Winning acceptance to a top-ranked medical school is no easy task, but if you work hard and make the grade, the excellent foundation you can build will reward you with a substantial return on your investment in your future career. A degree from a nationally renowned medical school will prepare you to become a true leader in the medical field.